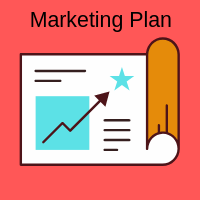 How to start a marketing plan? What are the best ways to identify a target market? What is a good marketing plan for small business in general? What is the most important part of a marketing plan? How to prepare a marketing plan for a startup? How can my business reach target audience effectively? What are some good methods to define target audiences? How to create digital marketing strategy? How to perform a competitive analysis? Why do business need digital marketing strategies? What does a marketing plan cost? Marketing is the science of finding prospects and turning then into profitable customers for your business. A marketing plan is biggest business process lever that delivers for the bottom line. Define your business objectives. Define your current situation in terms of marketing. State your future marketing strategies, tactics and plans. Set the budget and operational activities. Create your ideal customer persona. List their fears, frustrations, wants and aspirations. Think like your prospect, what are they thinking? What does your customer want the most? What does the customer most want to avoid? What is their education level in relation to your product, not aware, beginner, comparing options or experienced buyer. What does your customer value which they will pay to achieve? Create a Google My Business and Bing My Business directory listing for free. This provides Internet map pins and business contact details. Create a website showing your products and services. Use social media to share your website content. Initially perform some paid marketing to raise awareness. List your website in your industry directories. Later organic search results will drive prospect traffic to your website for free. Use email to improve lifetime value from your customers. Conversion rate is the percent of prospects that become customers. Determine the cost of marketing for each new client. Work out the lifelong revenue per client. Is your marketing profitable or is it time to adjust. Create a prototype on paper, digital design or physical object. Show your customer segment and check if they will buy the idea. Iterate until you have a customer. List the logical and emotional queues that made the customer buy. List the biggest benefits. Who will benefit from the product or service. What is the dream the prospect is trying to achieve? How is your product unique? Create a customer journey map showing the touch-points needed for a sale. Awareness, compare options, select option, buy. Try to automate as much as possible. Determine where your prospects interacts with the world. Do they read newspapers, magazines, use select social media, use YouTube, perform Google searches, drive past billboards, use select websites, use email, use eCommerce, are members of particular groups etc. What can you offer initially for free? e.g. Checklist document, download guide, case study, eBook, printable, workbook, template, resource list or white paper. Have a call to action for the next step with your contact details. Align your marketing to be near you prospect with the right lead magnet. Google Adwords - Keyword Planner (free) can show the quantity of monthly searches for your niche by country or global. Is there enough demand for your product or service? It also shows advertising competition for particular phrases. Facebook Advertising targeting can show the market size by city, age, gender, interests and industry group. This market size can be determined before spending any money. Determine where your prospects spend time online. Tailor your digital marketing to suit those locations. Social Media platforms also have advertising available. Google can provide ads with Search, YouTube, partner websites, Google Shopping, Gmail and Google Android. What benefits will the ads show and where will a click lead to? Landing pages on your website should align with the ad. Ads can also be for awareness only and you pay per 1000 impressions. Ads can be for mobile with call business as the action. Re-marketing are ads for people who have previously been to your website which can help build up familiarity and trust. Track your digital marketing performance using the social media platform or Google Analytics for your website. Iterate for better customer conversion rates. Strengths, Weaknesses, Opportunities and Threats. Strengths include what you do well and how you stand out from competitors. Weaknesses include areas for improvement or skills you lack. Opportunities include how market change could benefit you. Threats include competitors, business risks, marketing competition and deteriorating profits. Monitor your business from a SWOT point of view. Look at a competitor in terms of social media followers on the different platforms and website coverage and focus. What are the posting about and how often. If you Google Search site:competitorwebsite you can see how many web pages are indexed by Google. Look at the titles and descriptions. If you make more web pages then your visibility will be higher. There are paid tools like SEMrush that will list your competitors keyword phrases, web page rankings and if they are running online advertising. You can compare your website with your competitors side by side. USP is Unique Selling Proposition. What makes you stand out from the competition? Why should the prospect buy from you? How can your product or service be mind blowing from the customer perspective. Digital Marketing can target specific prospects, show ad impressions, show ad clicks and ad spend. You control the marketing spend it terms of dollars per day and which search phrases you are interested in. You can raise or lower you advertising and the related response volume in real time. The minimum spend is about $2 per day. You can set up a marketing campaign in a day and have prospects on your website on the very same day. As a rough start a click to your website costs $2 and the 50 ad views are free. This is one of the cheapest forms of marketing that has full key performance indicator tracking. What is the lifetime value of your customer. Set how many new clients you want per day. Marketing performance can be tracked using social media platforms and your website Google Analytics. Determine were your prospects came from on what search term they used to get to your website. Adjust the search phrases you are interested in. You can also add negative search phrases to eliminate irrelevant segments. See which ads work best and which search terms are cheapest for a click. Use this data to get maximum return on investment from your marketing.